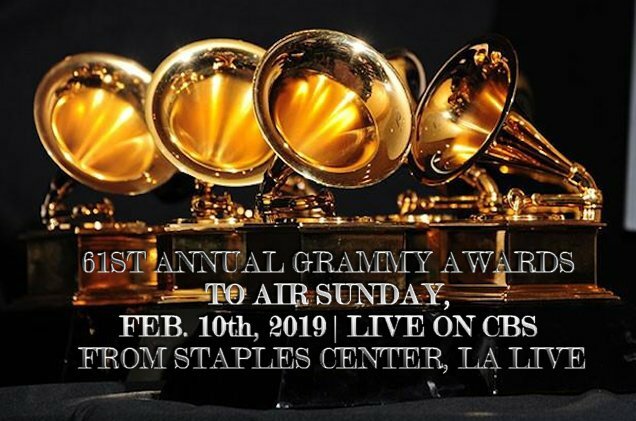 The 61st Annual Grammy Awards ceremony was held on February 10, 2019, at Staples Center in Los Angeles. The Grammy awards is music’s biggest night. 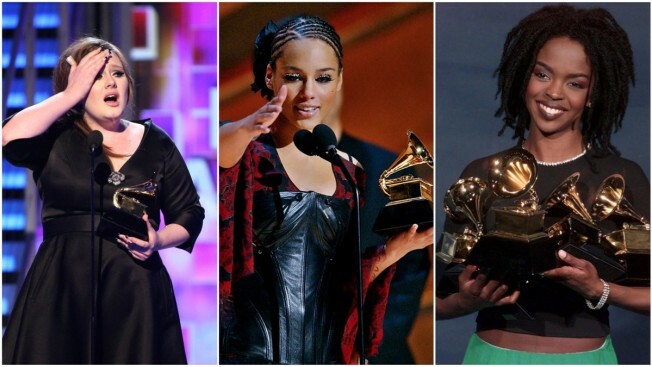 A Grammy Award or Grammy, is an award presented by the Recording Academy to recognise achievements in the music industry. The annual presentation ceremony features performances by prominent artists, and the presentation of those awards that have a more popular interest. The Grammy awards shares recognition of the music industry as that of the other performance awards such as the Academy Awards (film), the Emmy Awards (television), and the Tony Awards (theatre).The first Grammy Awards ceremony was held on May 4, 1959, to honour and respect the musical accomplishments by performers for the year 1958. Following the 2011 ceremony, the Academy overhauled many Grammy Award categories for 2012. The gold-plated trophies, each depicting a gilded gramophone, are made and assembled by hand by Billings Artworks in Ridgway, Colorado. In 1990 the original Grammy design was revamped, changing the traditional soft lead for a stronger alloy less prone to damage, making the trophy bigger and grander. Billings developed a zinc alloy named grammium, which is trademarked. The trophies with the recipient’s name engraved on them are not available until after the award announcements, so “stunt” trophies are re-used each year for the broadcast. Singer-songwriter Alicia Keys hosted the show. The ceremony will recognize the best recordings, compositions, and artists of the eligibility year, which ran from October 1, 2017, to September 30, 2018. Nominations were announced on December 7, 2018. Dolly Parton was honoured as the MusiCares Person of the Year two days prior to the Grammy Awards on February 8, 2019. About an hour into the show, the Grammys got a big dose of country music with a nearly 10-minute tribute to Dolly Parton — who, it should be noted, is such a hard worker that she headlined her own career retrospective medley. Kacey Musgraves and Katy Perry kicked things off in bedazzled red jumpsuits for “Here You Come Again,” while Parton strolled out stage, glowing in white. “Thank you Katy, thank you Kacey, appreciate that,” Parton said, ever polite, as her goddaughter Miley Cyrus arrived in sparkly gold for “Jolene,” which she has been covering for years. British pop star DuaLipa rounded out the major prizes as she picked up the trophy for best new artist; she noted how honoured she was to be nominated “alongside so many incredible female artists this year, because I guess this year we’ve really stepped up.” This was a dig at outgoing Grammys President Neil Portnow, who last year received major backlash when he said women should “step up” if they wanted to win more awards. Travis Scott showed up just when the long ceremony desperately needed a shot of adrenaline — and that’s exactly what he offered. The performance started quietly, with Scott and James Blake crooning “Stop Trying to be God.” Then to perform “No Bystanders,” Scott somehow appeared in the middle of a cage as people rushed the stage and began scaling it. The flock of fans onstage was going bananas, dancing as hard as one possibly could and putting to shame the actual audience in the pit. Scott continued rapping, scaling the fence himself, diving into the crowd and finishing out his song — waking up a crowd that may have been dozing off.